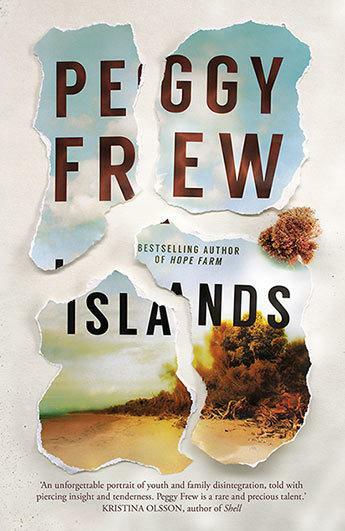 Two fantastic reads by Australian women have entered last week’s top 10 bestseller chart, led by Peggy Frew’s Islands, a spellbinding portrait of a family in crisis that follows in the tradition of Helen Garner, Charlotte Wood and Georgia Blain. In sixth spot is Leah Kaminsky’s The Hollow Bones, an impeccably researched historical novel that centres on German zoologist Ernst Schafer, one of the Nazi regime’s little-known villains. The third new title in our top 10 is Donna Leon’s 28th novel featuring Venetian detective Commissario Guido Brunetti, Unto Us a Son is Given. Other bestselling books of last week include… Mark Brandi’s unflinching slow-burn novel tackling homelessness (The Rip); riveting Irish crime by rising star author Dervla McTiernan (The Scholar); old favourites (The Rosie Result and Ottolenghi SIMPLE); and three essential non-fiction titles that shed light on our country’s history and current affairs: No Friend but the Mountains ; Cardinal: The Rise and Fall of George Pell; and Dark Emu.